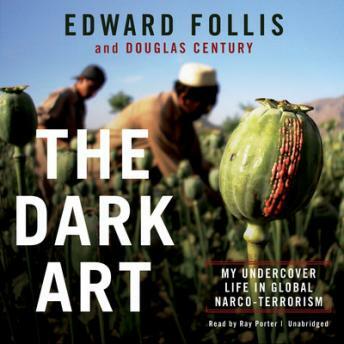 Over the course of his twenty-seven years with the DEA, Ed Follis bought eight-balls of cocaine in a red Corvette, negotiated multimillion-dollar deals onboard private King Airs, and developed covert relationships with men who were not only international drug traffickers but—in some cases—operatives for al-Qaeda, Hezbollah, Hamas, the Shan United Army, or the Mexican federation of cartels. Follis was, in fact, one of the driving forces behind the agency’s radical shift from a limited local focus to a global arena. In the early nineties, the DEA was primarily known for doing street-level busts evocative of Miami Vice. Today, it uses high-resolution optics surveillance and classified cutting-edge technology to put the worst narco-terror kingpins on the business end of “stealth justice” delivered via Predator drone pilots. Spanning five continents and filled with harrowing stories about the world’s most ruthless drug lords and terrorist networks, Follis’ memoir reads like a thriller. Yet every word is true, and every story is documented. Follis earned a Medal of Valor for his work, and coauthor Douglas Century is a pro at shaping and telling just this kind of story. The first and only insider’s account of the confluence between narco-trafficking and terrorist organizations, The Dark Art is a page-turning memoir that will electrify you from page one.